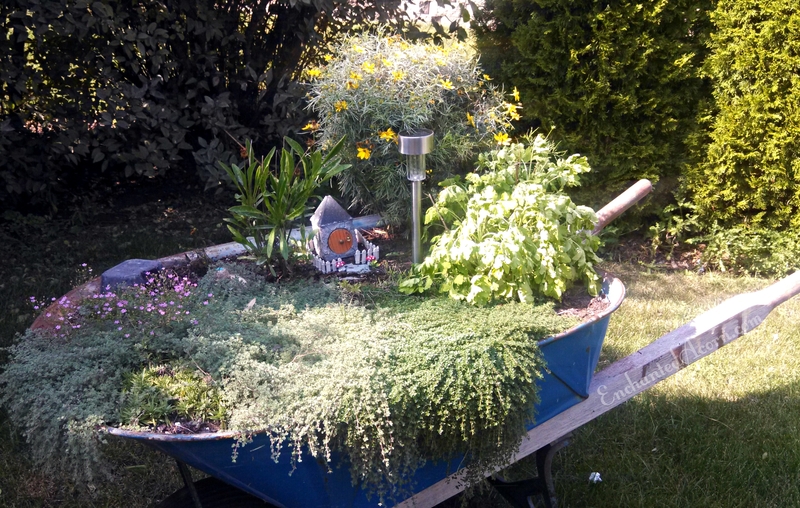 I recently created a new miniature fairy wheelbarrow garden in (my mother and Enchanted Acorn partner) Diane’s backyard here in Naperville. The wheelbarrow was owned and frequently used by my father, Diane’s late husband, John, and we think it’s from the early sixties or late seventies. 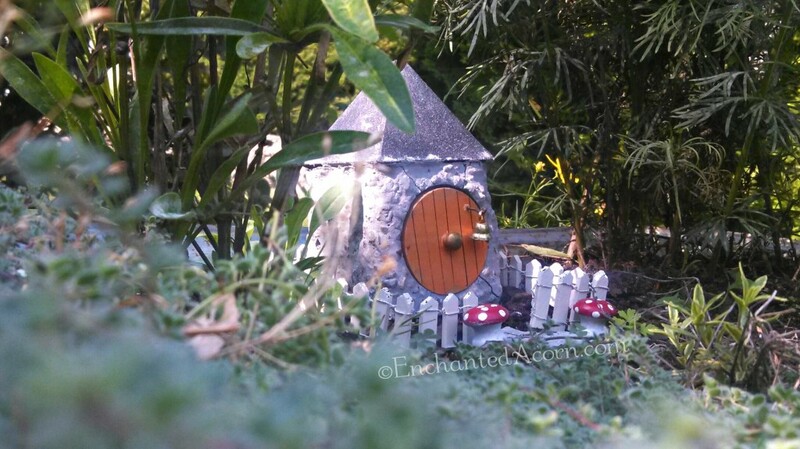 We used one of our original mini Hobbit-door house prototypes that had cracked as the house surrounded by 1/2″ scale white picket fencing. The garden contains Red Creeping Thyme, Elfin Thyme, Coreopsis, and more. We’ll be adding lots more accessories to the garden over the next few seasons, so keep an eye out! We offer fairyscaping and miniature garden installation in yards and gardens around the Chicagoland area. If you’re interested in having a custom fairy garden created for your home, please contact us or give us a call at 630-269-8397. This entry was posted in Fairyscaping, Gardening, Our Services and tagged Chicagoland, Coreopsis, Elfin Thyme, fairy gardening, fairyscaping, Hobbit door, mini mushrooms, miniature fairy house, miniature white picket fence, Naperville fairy garden, Red Creeping Thyme, wheelbarrow garden, wheelbarrow miniature garden on September 14, 2013 by Enchanted Acorn.